Hard times in Margaritaville: skyrocketing lime prices slam Mexican restaurants and bars. Cartel violence in the Mexican state of Michocan, plus floods and tree disease, have driven costs of the green citrus to an all-time high. 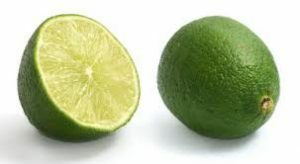 In the U.S., which receives more than 95% of its limes from Mexico, there are sky-high prices and a shortage of the little green citrus fruit. It’s bad news for margarita drinkers, Mexican restaurants and bars that serve limes as garnishes. The cause can be traced across the border, to the central state of Michoacan, home to the world’s biggest supplier of limes and current site of a bloody war between citizen self-defense groups and the violent Knights Templar cartel. Fighting and hijacking of lime trucks by cartel members have slowed exports to a crawl, coupled with farmers refusing to pay extortion fees to Knights Templar enforcers. Heavy rains and a tree disease afflicting the area has not helped.